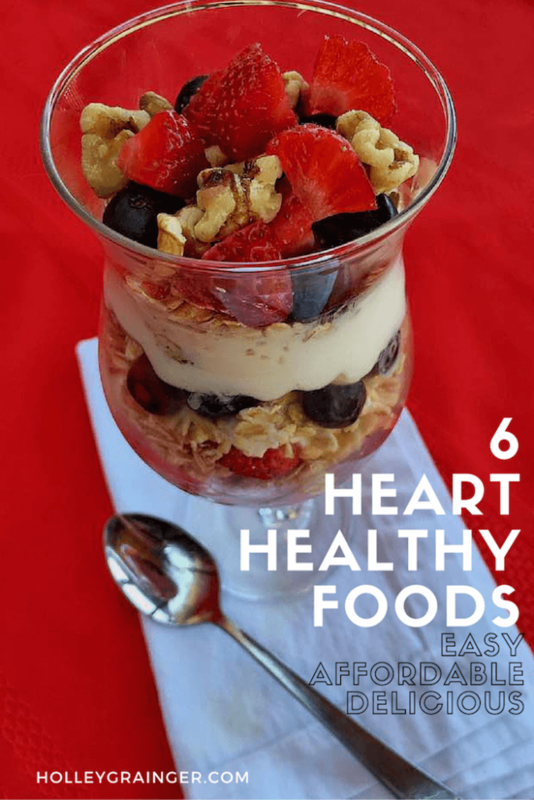 In a world where certain foods are always the enemy and there is so much focus on what we “can’t” eat, how refreshing is it that heart healthy foods are ones that we SHOULD ADD to our meals. Improving your heart health isn’t just about avoiding certain foods but about loading up on the good-for-you ones that fight cholesterol and heart disease like the 6 I listed below. The very scary statistic is that heart disease is the leading cause of death for men and women in the United States. However, heart disease and other cardiovascular risk factors can be prevented oftentimes by food alone. My family has been affected by heart disease for many generations so it has always been important to focus on how to keep my heart healthy with exercise, not smoking, including fiber-rich foods, and keeping an eye on markers like blood pressure, cholesterol, and triglycerides. Thankfully, incorporating heart-healthy foods into the diet is easy, affordable, and delicious. I partnered with Sprouts Farmers Market and Cans Get You Cooking to share my top pics for heart-healthy foods on the local Birmingham, Alabama morning show, ABC 33/40 Talk of Alabama. Here’s a roundup of my favorite foods for heart health and three recipes ideas that layer each of the foods together. Oatmeal is loaded with soluble fiber and has more than any other grain making it such an incredibly heart-healthy food. Soluble fiber is known for its cholesterol lowering effects so when choosing an oatmeal go for steel cut or coarse versus instant since these usually have more fiber. 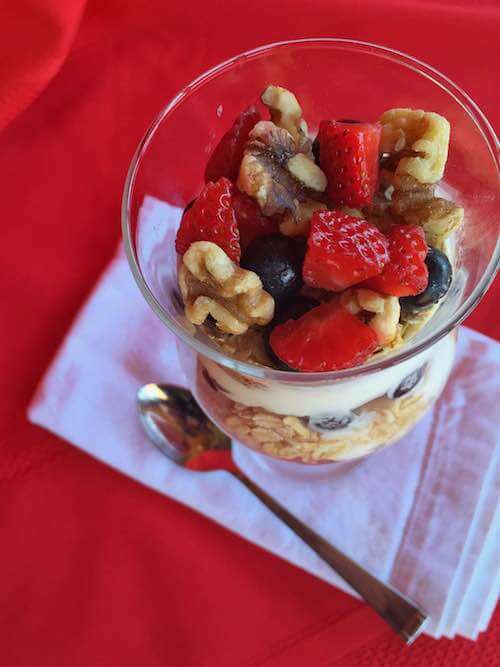 Top your oatmeal with nuts and fruit to boost the fiber. 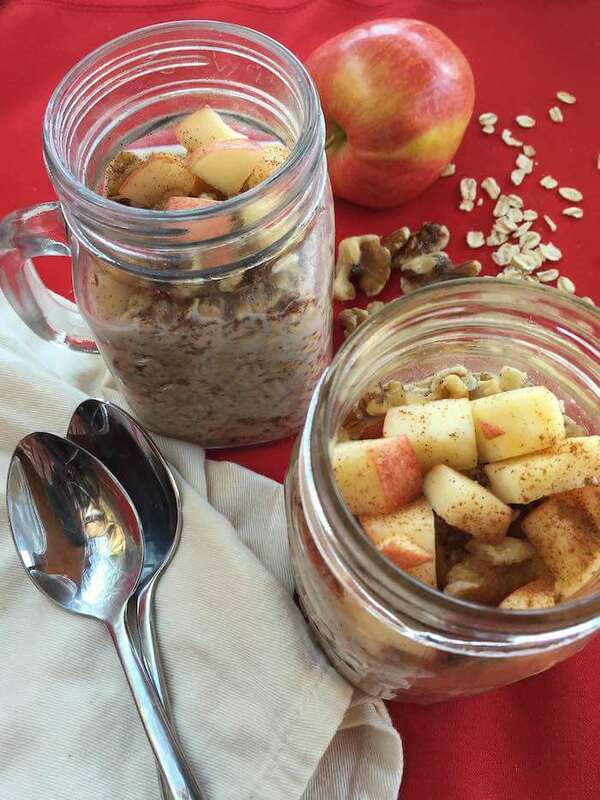 I love making Apple-Cinnamon Overnight Oats (pictured above) for a heart-healthy breakfast. When grocery shopping for oats as well as ground flaxseed and walnuts for this recipe, check out the bulk bins at Sprouts. It is so much more affordable to buy these ingredients from the bins and I can buy exactly what I need (eliminate food waste). 2. Ground Flaxseed offers a good source of soluble fiber and best known for its omega-3 fatty acids. Omega-3s help to reduce our risk for cardiovascular disease by lowering total cholesterol and “bad” LDL cholesterol while also lowering blood pressure and protecting our blood vessels from inflammation. Ground flaxseed, often labeled as flaxseed meal is easier to digest and more likely to be absorbed versus whole flax seed which may pass through the system undigested. 3. Walnuts: Packed with vitamins, minerals and heart-healthy monounsaturated fats, nuts such as almonds, pistachios, pecans and walnuts are a nutritious snack choice as well as additional to foods such as oatmeal or yogurt. Walnuts are also a great source of omega-3 fatty acids, which help to prevent blood blots and irregular heart rhythms. 4. Berries: Strawberries, blackberries, blueberries, raspberries…all of these contain something called anthocyanin, which is a flavonoid that can help to decrease blood pressure and help with blood vessel dilation. Berries can also help to raise our “good” HDL cholesterol. A recent study found that women who eat more than 3 servings of blueberries and strawberries per week had a 32 percent chance of decrease in their heart attack risk. Time to pump up those berries–plus, they’re coming into season right now so get ready for some deliciousness! 5. Tuna: February is National Canned Food month so it’s a great time to stock your “cantry” with omega-3-rich tuna. I used to always think about canned tuna as something you mixed with mayo and relish and while it still is a yummy way to eat it (I love tuna salad), cansgetyoucooking.com has some amazing recipes for tuna. Plus, did you know that canned tuna (as well as salmon and other sources of fatty fish) helps to lower triglycerides and LDL cholesterol. Not only is tuna good for the heart but also for brain health. 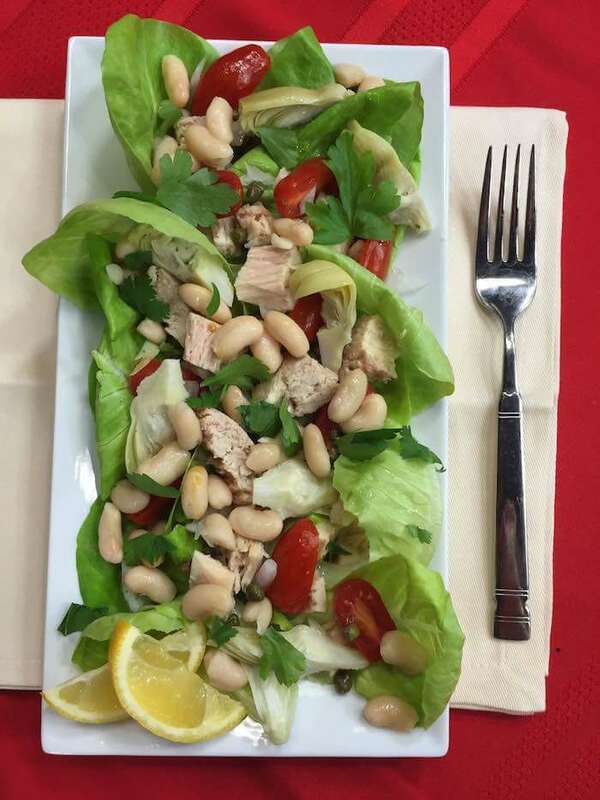 I made this delicious Tuna and White Bean Salad for my Heart Health segment on Talk of Alabama. So delicious and a very affordable way to enjoy tuna every day. Be on the lookout for the recipe soon! 6. Beans: Beans are a great source of that soluble fiber we talked about with oatmeal, beans can also help to lower our cholesterol. The flavonoids found in beans can also help to decrease inflammation and inhibit the adhesion of platelets in the blood, thus lowering our risk for heart attacks and stroke. Plus beans are one of the best sources of fiber and plant protein. This combo of nutrients will keep you feeling full while protecting your heart. 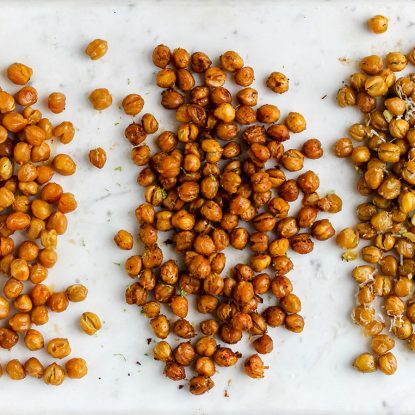 When choosing canned beans, opt for the no added salt or low-salt varieties and rinse them before eating. BONUS: Avocado: Avocados are chockfull of heart-healthy monounsaturated fat to help lower cholesterol and prevent blood clotting. Avocadoes offer potassium to help control blood pressure, as well as magnesium and antioxidants to help further decrease our risk for heart disease. 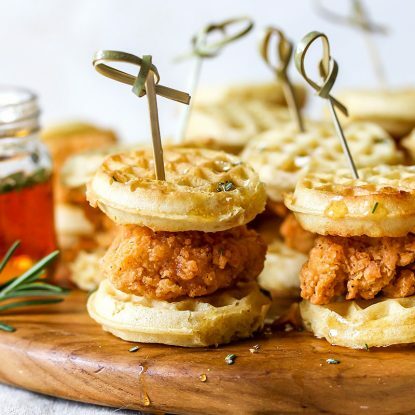 To note: As you’ll see in the disclosure below, I partnered with Sprouts Farmers Market and Cans Get You Cooking for the TV segment and this blog. I always and only choose to partner with brands, commodities and clients that share the same belief system as me so when they turned to me to help educate the population, especially in Alabama, about heart health and just how easy it is to add these delicious foods to the diet, I was ecstatic. I’m a huge fan of Sprouts mission to inspire, educate and empower every person to eat healthier and live better. It is something that I adopt and share with my readers. I also appreciate how Cans Get You Cooking is working to educate the public on how the can is one of the best ways to get food from the farm to the table and how stocking your pantry/cantry is one way to make homemade cooking easy. Disclosure: This blog is sponsored by Sprouts Farmers Market and Cans Get You Cooking. 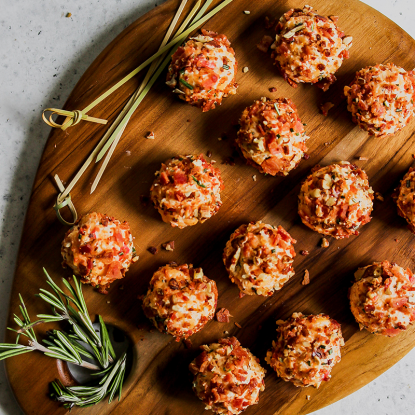 I’m so grateful to work with both groups and for their support of this blog as well as the TV segment where these foods and recipes were originally presented. All of the information provided is my own opinion and creation.